Alissa L. Van Horn, Esq., serves as the managing partner of Van Horn & Friedman, P.C., a full-service law firm, with its primary office located in Westbury, New York, with a concentration within the New York City Metropolitan Area, including Nassau and Suffolk Counties of Long Island. A seasoned family law attorney, Alissa has extensive experience with cases involving divorce, adoption, custody, child support, orders of protection, foster care litigation, name changes, prenuptial, postnuptial, and separation agreements. Prior to founding Van Horn & Friedman, P.C., with Meredith, Alissa and Meredith began their careers in New York at a small general practice law firm in Queens where their practices focused on representing clients in divorce and family law matters, as well as criminal and civil litigation. Thereafter, Alissa joined a boutique Manhattan family law firm as an associate where she handled all facets of foster care litigation and adoption law. 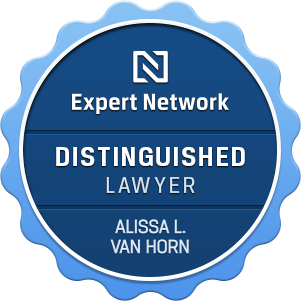 In 2010, Alissa founded the Law Office of Alissa L. Van Horn, P.C., where she honed her research, writing, litigation, and negotiation skills to provide the best possible outcomes for all of her clients. 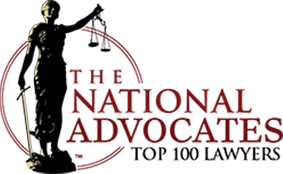 Alissa has worked on behalf of such firms as Sager Gellerman Eisner—a top AV rated law firm—of counsel to Alan Schwartz, P.C., and has been requested to assist other firms in their family law and matrimonial departments. Throughout her career, Alissa has spent extensive time in the courtroom. While having an impeccable trial record, Alissa often implements negotiation strategies to achieve the optimal results for her clients when a trial is not in a client's best interests. Alissa prides herself on maintaining open communication with her clients, and counsels her clients toward strategies that take advantage of the most effective and efficient legal procedures to achieve the client's goals. Alissa is licensed to practice law in New York, Connecticut, and the United States Supreme Court. Alissa is a member of the New York State Bar Association, Nassau County Bar Association, and the Suffolk County Bar Association. She is a former member of the New York City Bar Association, and served a two-year term on the Committee for Children and the Law of the New York City Bar Association, New York County Lawyer's Association, and the Queens Chapter of the Women's Bar Association of the State of New York. Alissa is a former member of the Attorney for Children and Assigned Counsel Plan of the Appellate Division, Second Department. 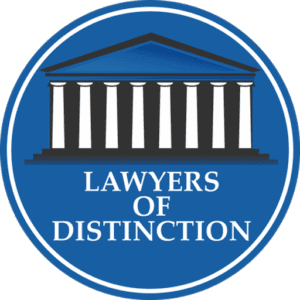 Alissa received the Rising Star Award by Super Lawyers Magazine in 2015, 2016 and 2017; and received the 10 Best Family Law Attorney Award for New York by the American Institute of Family Law Attorneys in 2016 and 2017; received the Top 10 under 40 by the National Academy of Family Law Attorneys in 2016 and 2017; the 10 Best Under 40 for New York by the American Institute of Family Law Attorneys in 2016 and 2017, the Top 100 Attorneys Award & Top 40 under 40 Award by the National Advocates in 2017; received the Outstanding Women in the Law Award by Hofstra University in 2016. Alissa was also featured in Long Island Pulse Magazine in 2017 as a Top Legal Eagle, and was named to the Top Women Attorneys List by Super Lawyers Magazine for the New York Metropolitan Area in 2015, 2016 and 2017. Alissa is actively involved in the legal community, presenting Continuing Legal Education (CLE) seminars for Marino CLE Institute and Lawline, and has served on various other educational panels, educating other attorneys and professionals on family, matrimonial, and law practice management matters. Alissa volunteers her time in the community by coordinating free legal seminars with other professionals to assist in educating individuals involved in family and matrimonial matters, and is a member of various online groups to further assist individuals in need. Alissa earned her Juris Doctor from Widener University School of Law in Wilmington, Delaware. Notably, while in law school, Alissa was a judicial extern for the Supervising Family Court Justice, Idee C. Fox, in Philadelphia, where she wrote the Judge's training on Pennsylvania's adoption of the Uniform Child Custody Jurisdiction and Enforcement Act (UCCJEA). Alissa earned her Bachelor's in Science for Public Administration from Saint Joseph's University in Philadelphia, PA.